Since over 1/3 of your life is spent asleep, good rest is necessary for staying strong both physically and mentally. Without a proper recharge, your body can’t function at its best. Here’s what happens when stress starts to affect your sleep. When your head hits the pillow, do you drift into a peaceful dream or do a dozen cares leap at you? Stress, when it’s good, keeps us in a state of alertness for us to accomplish short-term tasks. However, bad stress can constantly burden you, freezing you in a perpetual “fight or flight” stage, even when you need to sleep. Chronic stress makes it difficult to switch “off” after the light is turned off. It can also cause you to wake up early with a jolt of panic since your mind and body are constantly in “alert” mode. For example, multiple project deadlines for a student can turn a usually sleepy teenager to a night owl. A looming contract can also prompt a young professional to wake up far too early in the day, feeling the pressure to prepare excessively for the best outcome. Sometimes, stress can cause troublesome dreams about your anxieties, which can jolt you awake in the middle of the night and keep you awake. This interrupted sleep can eventually impact the quality of your sleep. One sure way to know if stress has been affecting your sleep is to determine when you started to have bad sleep. If it coincides with a stressful season or event, then you know that the external factor of your stress is the likely trigger. Obligations and deadlines are a part of life, so artificially eliminating them isn’t realistic. What you can do instead is to develop good coping mechanisms for stress. Immediate solutions include deep breathing and meditation, while long-term methods can involve making a list of the things you need to do then prioritizing them by their levels of importance. If you find that the load is too much, it could be time to start saying no to tasks or to ask for help from others. If you’re stressed and sleeping on a bad mattress, you certainly aren’t increasing your chances of getting a good night’s sleep. 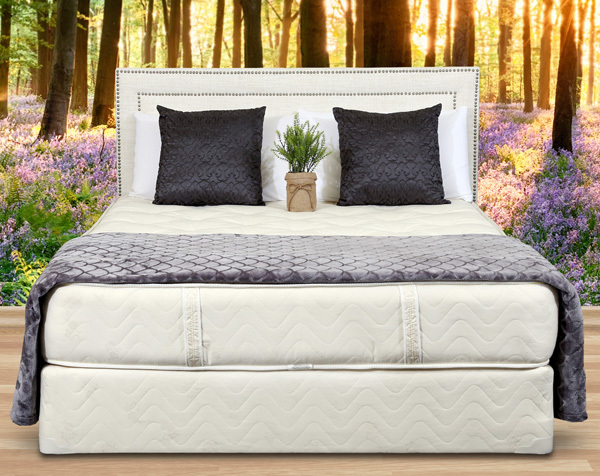 Gardner Mattresses are handmade with quality and are so very comfortable. Contact us today to try one of our mattresses today risk-free for 90 days by calling 1-800-524-2736. Previous article	Is Your Mattress Affecting Your Job?